I didn’t watch the Super Bowl last night. I enjoy reviewing the commercials on the day after the Super Bowl. One of the things I did last night instead was talk with my brother who runs our family’s dairy farm in Virginia. He talked about how more and more family dairy farmers are giving it up, and how it’s looking more and more likely that he will, too. Maybe even this year. Before I even had a chance to review the commercials this morning, one of my colleagues, Andrew Taylor-Troutman, alerted me to the Dodge Ram Truck Super Bowl commercial in which Paul Harvey delivers a heartfelt tribute to farmers. He speaks of how God needed people to get up before dawn and milk the cows…so God made a farmer. I watched it and thought about how my father and brother could have been in that commercial. When I was growing up Daddy knew every single cow by her name. Then, when they started using numbers, he knew every single one by number. “Has 196 calved yet?” Daddy saw his work as a service to humanity and a call from the Lord. My father is gone now. Perhaps if they steward cattle in heaven, he is one of the chief stewards. My brother carries on the stewarding here, and it’s hard. Very hard. Very difficult even to break even. I would gladly buy local milk if I could, and I would gladly pay more for milk, if I knew the money would eventually get to the farmers that need it. The way the “system” is stacked against small farmers baffles me. It also baffles me how food is cheap and abundant in our country, and yet people still go hungry. Lord, help us. 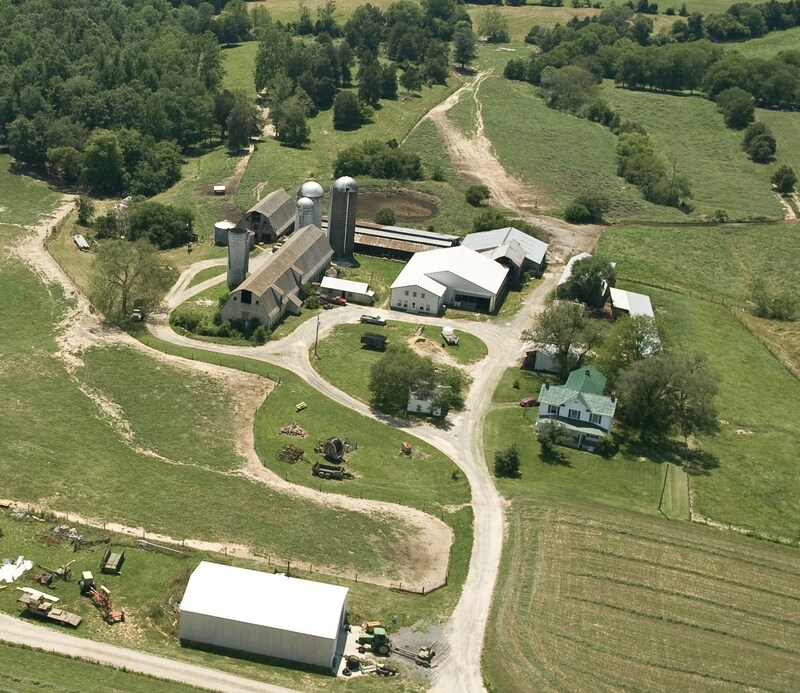 The Harrises have been in the dairy business for over seventy years, and they have tended the land for over a century. My heart is heavy as I think about the changes that lie ahead. All of this calls for prayer. And action. Please join me in prayer for farmers, and find ways to support the farmers near you. Show your support with your pocketbook and buy local whenever you can. And support the rural congregations, most of which are small, that sustain our farm families. Yes, God certainly did make farmers. He called my father. He called my brother. And even now, God has a plan for this family and for this land.